Are these available in the auction house? Sometimes, in the auction house, come across these lots, for example now on sale is Edition 2, but I can not buy it, written: "This is exclusive content and cannot be purchased at this time". This means that such lots can be bought only by those who have already activated the code. It turns out a stupid situation, if a person has a code, then he does not need an auction, as he can download these machines for free. It's been over a year since those codes were available in store. I'm not sure they would be valid at this point if you did find them. I think that if, somewhere else is on sale Totino's products (like chips) with these codes, they should be valid. I initially had no chance to get these codes myself, as there are no products from Totino's in My region. And this applies to most players around the world. It was only for the US region. Of course, I have no complaints about this, but it seems to be some kind of discrimination on a regional basis. If these cars are in the game, then all players must have an equal chance to get them, regardless of the region / country. The developers should think about what would fix this situation. 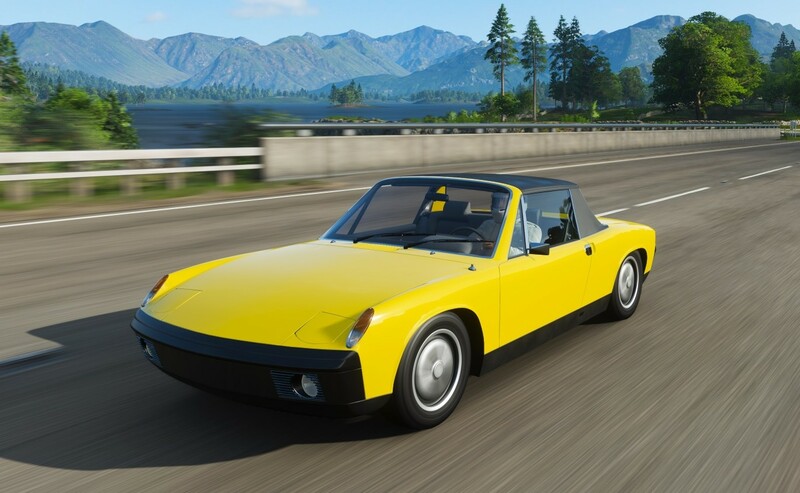 For example, these cars could be a reward for Forzathon or League. P.S. I apologize if my English is not very good. Gotcha. So no way to own those cars without having used the code. That makes it difficult. I'll certainly check the store where I got mine to see if they by some random chance still have them. FYI you will actually need 3 code to get both cars. I'll certainly check the store where I got mine to see if they by some random chance still have them. Why, in order to use the code for the car, do I also have to use the code for the suit? This is odd. Although, it's not so important, because in any case I will be grateful for the help, as I said in my first message. DOWNLOADABLE CONTENT: The first code entered from a qualifying Totino’s™ product will earn you an exclusive in-game liveried car. The second code entered will earn you in-game driving gear. The third code entered will earn you a second exclusive in-game liveried car. Entering one (1) select code from 120 count and Party Pizza Packs will earn you a set of exclusive in-game driving gear. Basically the codes are not specific for either a car or driver gear. When you redeem a code on your account, it checks to see how many you have already redeemed and you get the corresponding reward. This promotion ended a while ago, I no longer see it on the packages. Don't eat it, not even real cheese. Gross lol I got the first car out of it. It's just a livery. You can't buy them in the Auction House unless you already own/owned them. I had the first Pagani and was able to pick up 3 #1s in the Auction House, but I couldn't buy a #2 when I found it. I understand, thank you. Anyway, I still need it, 2,3 or 4 codes doesn't matter. This promotion ended a while ago, I no longer see it on the packages. Yeah, I know, but I thought, what maybe someone had these Totino's products that were bought earlier, or codes that weren't used. So, I decided to ask. Then it is not clear who then can buy at auction house these Totino's cars? Who are these auction lots for? Let me repeat, I think it is not fair that the Totino's cars were originally not available to most players. I understand that this is just a livery, but if these cars are present in the game, then I want to own them. But not being able to get them, I won't be able to consider my car collection complete. Sadly. No it's not, it's rank stupidity. It's an utterly pathetic straw man argument that you really ought to be embarrassed about having posted. I understand your frustration about not being able to complete a collection; I don't share it, but I've experienced the same before. However comparing regional content to racism or sexism undermines your argument more than it reinforces it. Khaddar, I said that everyone should have an equal chance, and explained in detail where it could lead, if not to observe equality. As for sarcasm (although I was serious), I said it for people like you, since I suspected your hasty conclusions. But now I see that it did not help. OK, don't worry, I edited my message because I don't want to be responsible for your your emotional and moral experiences, but I hope you'll someday realize that discrimination on a regional basis isn't all that far from racism (everything has a beginning). So my first post (before editing) wasn't stupid. It's possible that you just don't have enough understanding to react correctly. But I think that's a topic for another forum. Good luck. This isn't discrimination, and it doesn't lead to discrimination. It's a purely commercial decision based on a partnership with a business that doesn't operate globally. It's only your overly emotional reaction that causes you to link the two, and trying to offload that onto "other people's moral experiences" just shows a lack of responsibility. You had a tantrum because you can't have the shiny toys and you got called out for it. Please, grow up. PS: Your best chance of getting these codes is likely to be to try to buy them on auction sites etc, rather than asking on here - anyone here who has codes is likely to have wanted to use them themselves. Yes, I know and I understand that, but it was worth asking. Khaddar, bro, I said what I thought was right, and the fact that your opinion is different from mine doesn't make you right. And I will not convince you of anything else, because you have already drawn conclusions, let it remain so. Don't even try to talk about it, because you don't know and understand much. I have seen and experienced a lot of problems, suffering and grief for 34 years. And now, when I see injustice, even in the game, I am very upset. I understand that it was an partnership program, but it was poorly thought out, because it did not take into account the interests of all players. The result was separation. If you don't see the problem, I'm very happy for you. I haven't found anything yet, but if you know where, give me a link, if it's not hard for you. I ask wherever possible and it is absolutely normal. anyone here who has codes is likely to have wanted to use them themselves. In 99% of cases this is the truth, but I know some players had excess codes and shared them, but at the time I wasn't concerned about collecting cars and missed this opportunity. No, if I'd found them - I did look briefly yesterday while replying to you - I'd have PM'd you a link. I'm no expert at finding things like this though, so it doesn't mean they aren't out there. One thing I did find though was that the Totilo's redemption link is now dead as the offer's over. However I don't know if that was necessary, or if you get an Xbox code directly. No, you get a totinos code they you enter, that generated an Xbox code. Totinos codes were 3 groups of 4 characters. I'm no expert at finding things like this though, so it doesn't mean they aren't out there. Okay, thank you, I'll keep looking on my own. P.S. And I'm sorry if I offended you in our communication, it wasn't on purpose, just emotions and differences of opinion.